Archbishop and confessor, and one of the greatest saints of the Anglo-Saxon Church; born near Glastonbury on the estate of his father, Heorstan, a West Saxon noble. His mother, Cynethryth, a woman of saintly life, was miraculously forewarned of the sanctity of the child within her. She was in the church of St. Mary on Candleday, when all the lights were suddenly extinguished. Then the candle held by Cynethryth was as suddenly relighted, and all present lit their candles at this miraculous flame, thus foreshadowing that the boy “would be the minister of eternal light” to the Church of England. In what year St. Dunstan was born has been much disputed. Osbern, a writer of the late eleventh century, fixes it at “the first year of the reign of King Aethelstan”, i.e. 924-5. This date, however, cannot be reconciled with other known dates of St. Dunstan’s life and involves many obvious absurdities. It was rejected, therefore, by Mobillon and Lingard; but on the strength of “two manuscripts of the Chronicle” and “an entry in an ancient Anglo-Saxon paschal table”, Dr. Stubbs argued in its favor, and his conclusions have been very generally accepted. Careful examination, however, of this new evidence reveals all three passages as interpolations of about the period when Osbern was writing, and there seem to be very good reasons for accepting the opinion of Mabillon that the saint was born long before 925. Probably his birth dates from about the earliest years of the tenth century. In early youth Dunstan was brought by his father and committed to the care of the Irish scholars, who then frequented the desolate sanctuary of Glastonbury. We are told of his childish fervor, of his vision of the great abbey restored to splendor, of his nearly fatal illness and miraculous recovery, of the enthusiasm with which he absorbed every kind of human knowledge and of his manual skill. Indeed, throughout his life he was noted for his devotion to learning and for his mastery of many kinds of artistic craftsmanship. An old print of St. Dunstan holding tongs, which he used on the devil’s nose. With his parent’s consent he was tonsured, received minor orders and served in the ancient church of St. Mary. So well known did he become for devotion of learning that he is said to have have been summoned by his uncle Athelm, Archbishop of Canterbury, to enter his service. By one of St. Dunstan’s earliest biographers we are informed that the young scholar was introduced by his uncle to King Aethelstan, but there must be some mistake here, for Athelm and probably died about 923, and Aethelstan did not come to the throne till the following year. Perhaps there is confusion between Athelm and his successor Wulfhelm. 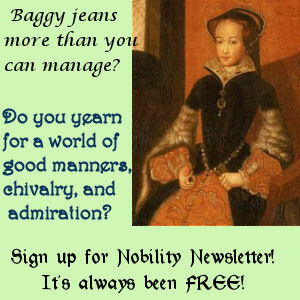 At any rate the young man soon became so great a favorite with the king as to excite the envy of his kingfolk court. They accused him of studying heathen literature and magic, and so wrought on the king that St. Dunstan was ordered to leave the court. As he quitted the palace his enemies attacked him, beat him severely, bound him, and threw him into a filthy pit (probably a cesspool), treading him down in the mire. He managed to crawl out and make his way to the house of a friend whence he journeyed to Winchester and entered the service of Bishop Aelfheah the Bald, who was his relative. The bishop endeavored to persuade him to become a monk, but St. Dunstan was at first doubtful whether he had a vocation to a celibate life. But an attack of swelling tumors all over his body, so severe that he thought it was leprosy, which was perhaps some form of blood-poisoning caused by the treatment to which he had been subjected, changed his mind. He made his profession at the hands of St. Aelfheah, and returned to live the life of a hermit at Glastonbury. Against the old church of St. Mary he built a little cell only five feet long and two and a half feet deep, where he studied and worked at his handicrafts and played on has harp. Here the devil is said (in a late eleventh legend) to have tempted him and to have been seized by the face with the saint’s tongs. While Dunstan was living thus at Glastonbury he became the trusted adviser of the Lady Aethelflaed, King Aethelstan’s niece, and at her death found himself in control of all her great wealth, which he used in later life to foster and encourage the monastic revival. About the same time his father Heorstan died, and St. Dunstan inherited his possessions also. King Edgar of England being crowned by St. Dunstan, Archbishop of Canterbury. Edgar was crowned by Dunstan at Bath, and the service, devised by St. Dunstan himself, forms the basis of the present-day British coronation ceremony. He was now become a person of much influence, and on the death of King Aethelstan in 940, the new King, Eadmund, summoned him to his court at Cheddar and numbered him among his councilors. Again the royal favor roused against him the jealousy of the courtiers, and they contrived so to enrage the king against him that he bade him depart from the court. There were then at Cheddar certain envoys from the “Eastern Kingdom”, by which term may be meant either East Anglia or, as some have argued, the Kingdom of Saxony. To these St. Dunstan applied, imploring them to take him with them when they returned. They agreed to do so, but in the event their assistance was not needed. For, a few days later, the king rode out to hunt the stag in Mendip Forest. He became separated from his attendants and followed a stag at great speed in the direction of the Cheddar cliffs. The stag rushed blindly over the precipice and was followed by the hounds. Eadmund endeavored vainly to stop his horse; then, seeing death to be imminent, he remembered his harsh treatment of St. Dunstan and promised to make amends if his life was spared. At that moment his horse was stopped on the very edge of the cliff. Giving thanks to God, he returned forthwith to his palace, called for St. Dunstan and bade him follow, then rode straight to Glastonbury. Entering the church, the king first knelt in prayer before the altar, then, taking St. Dunstan by the hand, he gave him the kiss of peace, led him to the abbot’s throne and, seating him thereon, promised him all assistance in restoring Divine worship and regular observance. St. Dunstan at once set vigorously to work at these tasks. He had to re-create monastic life and to rebuild the abbey. That it was Benedictine monasticism which he established at Glastonbury seems certain. It is true that he had not yet had personal experience of the stricter Benedictinism which had been revived on the Continent at great centers like Cluny and Fleury. Probably, also, much of the Benedictine tradition introduced by St. Augustine had been lost in the pagan devastations of the ninth century. But that the Rule of St. Benedict was the basis of his restoration is not only definitely stated by his first biographer, who knew the saint well, but is also in accordance with the nature of his first measures as abbot, with the significance of his first buildings, and with the Benedictine prepossessions and enthusiasm of his most prominent disciples. And the presence of secular clerks as well as of monks at Glastonbury seems to be no solid argument against the monastic character of the revival. 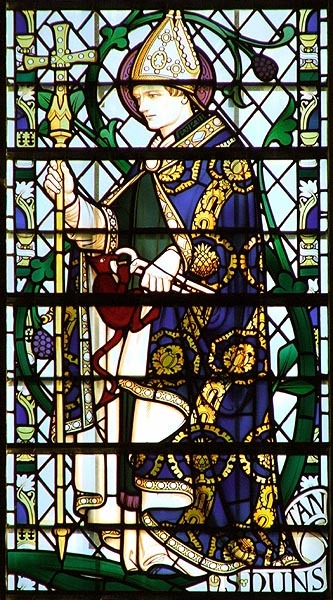 St Dunstan of Canterbury, Detail from a window in Downside Abbey church, Somerset. Photo by LawrenceOP. St. Dunstan’s first care was to reerect the church of St. Peter, rebuild the cloister, and re-establish the monastic enclosure. 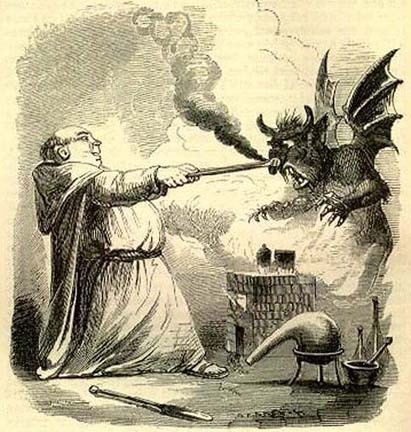 The secular affairs of the house were committed to his brother Wulfric, “so that neither himself nor any of the professed monks might break enclosure”. A school for the local youth was founded and soon became the most famous of its time in England. But St. Dunstan was not long left in peace. Within two years after the appointment King Eadmund was assassinated (946). His successor, Eadred, appointed the Abbot of Glastonbury guardian of the royal treasure of the realm to his hands. The policy of the government was supported by the queen-mother, Eadgifu, by the primate, Oda, and by the East Anglian party, at whose head was the great ealddorman, Aethelstan, the “Half-king”. It was a policy of unification, of conciliation of the Danish half of the nation, of firm establishment of the royal authority. In ecclesiastical matters it favored the spread of regular observance, the rebuilding of churches, the moral reform of the secular clergy and laity, the extirpation of heathendom. Against all this ardor of reform was the West-Saxon party, which included most of the saint’s own relations and the Saxon nobles, and which was not entirely disinterested in its preference for established customs. For nine years St. Dunstan’s influence was dominant, during which period he twice refused an bishopric (that of Winchester in 951 and Credition in 953), affirming that he would not leave the king’s side so long as he lived and needed him. In 955 Eadred died, and the situation was at once changed. Eadwig, the elder son of Eadmund, who then came to the throne, was a dissolute and headstrong youth, wholly devoted to the reactionary party and entirely under the influence of two unprincipled women. These were Aethelgifu, a lady of high rank, who was perhaps the king’s foster-mother, and her daughter Aelfgifu, whom she desired to marry to Eadwig. On the day of his coronation, in 956, the king abruptly quit the royal feast, in order to enjoy the company of these two women. 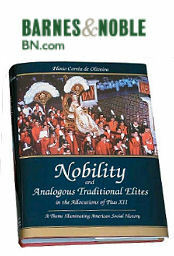 The indignation of the assembled nobles was voiced by Archbishop Oda, who suggested that he should be brought back. None, however, were found bold enough to make the attempt save St. Dunstan and his kinsman Cynesige, Bishop of Lichfield. Entering the royal chamber they found Eadwig with the two harlots, the royal crown thrown carelessly on the ground. They delivered their message, and as the king took no notice, St. Dunstan compelled him to rise and replace his crown on his head, then, sharply rebuking the two women, he led him back to the banquet-hall. Aethelgifu determined to be revenged, and left no stone unturned to procure the overthrow of St. Dunstan. Conspiring with the leaders of the West-Saxon party she was soon able to turn his scholars against the abbot and before long induced Eadwig to confiscate all Dunstan’s property in her favor. At first Dunstan took refuge with his friends, but they too felt the weight of the king’s anger. Then seeing his life was threatened he fled the realm and crossed over to Flanders, where he found himself ignorant alike of the language and of the customs of the inhabitants. But the ruler of Flanders, Count Arnulf I, received him with honour and lodged him in the Abbey of Mont Blandin, near Ghent. This was one of the centers of the Benedictine revival in that country, and St. Dunstan was able for the first time to observe the strict observance that had had its renascence at Cluny at the beginning of the century. But his exile was not of long duration. Before the end of 957 the Mercians and Northumbrians unable no longer to endure the excesses of Eadwig, revolted and drove him out, choosing his brother Eadzar as king of all the country north of the Thames. The south remained faithful to Eadwig. 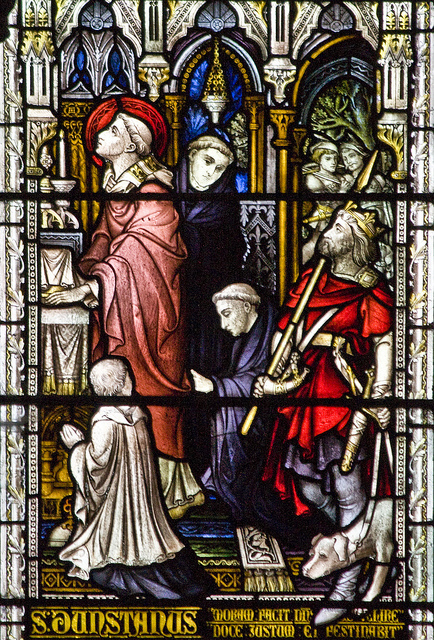 At once Eadgar’s advisers recalled St. Dunstan, caused Archbishop Oda to consecrate him a bishop, and on the death of Cynewold of Worcester at the end of 957 appointed the saint to that see. In the following year the See of London also became vacant and was conferred on St. Dunstan, who held it in conjunction with Worcester. In October, 959, Eadwig died and his brother was readily accepted as ruler of the West-Saxon kingdom. One of the last acts of Eadwig had been to appoint a successor to Archbishop Oda, who died on 2 June, 958. First he appointed Aelfsige of Winchester, but he perished of cold in the Alps as he journeyed to Rome for the pallium. 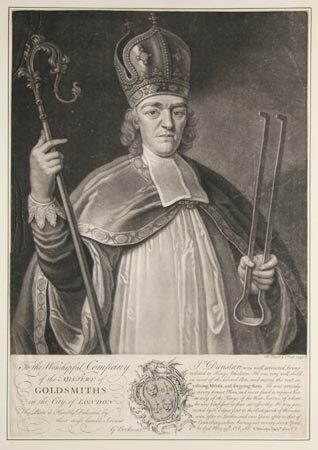 In his place Eadwig nominated Brithelm, Bishop of Wells. As soon as Eadgar became king he reversed this act on the ground that Brithelm had not been able to govern even his former diocese properly. The archbishopric was conferred on St. Dunstan, who went to Rome 960 and received the pallium from Pope John XII. We are told that, on his journey thither, the saint’s charities were so lavish as to leave nothing for himself and his attendants. The steward remonstrated, but St. Dunstan merely suggested trust in Jesus Christ. That same evening he was offered the hospitality of a neighboring abbot. 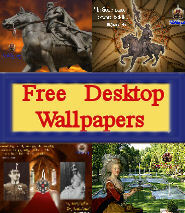 On his return from Rome Dunstan at once regained his position as virtual ruler of the kingdom. By his advice Aelfstan was appointed to the Bishopric of London, and St. Oswald to that of Worcester. In 963 St. Aethelwold, the Abbot of Abingdon, was appointed to the See of Winchester. With their aid and with the ready support of King Eadgar, St. Dunstan pushed forward his reforms in Church and State. Throughout the realm there was good order maintained and respect for law. Trained bands policed the north, a navy guarded the shores from Danish pirates. There was peace in the kingdom such as had not been known within memory of living man. Monasteries were built, in some of the great cathedrals ranks took the place of the secular canons; in the rest the canons were obliged to live according to rule. The parish priests were compelled to live chastely and to fit themselves for their office; they were urged to teach parishioners not only the truths of the Catholic Faith, but also such handicrafts as would improve their position. So for sixteen years the land prospered. In 973 the seal was put on St. Dunstan’s statesmanship by the solemn coronation of King Eadgar at Bath by the two Archbishops of Canterbury and York. It is said that for seven years the king had been forbidden to wear his crown, in penance for violating a virgin living in the care of the nunnery of Wilton. That some severe penance had been laid on him for this act by St. Dunstan is undoubted, but it took place in 961 and Eadgar wore no crown till the great day at Bath in 973. Two years after his crowning Eadgar died, and was succeeded by his eldest son Eadward. His accession was disputed by his step-mother, Aelfthryth, who wished her own son Aethelred to reign. But, by the influence of St. Dunstan, Eadward was chosen and crowned at Winchester. But the death of Eadgar had given courage to the reactionary party. At once there was an determined attack upon the monks, the protagonists of reform. Throughout Mercia they were persecuted and deprived of their possessions by Aelfhere, the ealdorman. Their cause, however, was supported by Aethelwine, the ealdorman of East Anglia, and the realm was in serious danger of civil war. Three meetings of the Witan were held to settle these disputes, at Kyrtlington, at Calne, and at Amesbury. At the second place the floor of the hall (solarium) where the Witan was sitting gave way, and all except St. Dunstan, who clung to a beam, fell into the room below, not a few being killed. 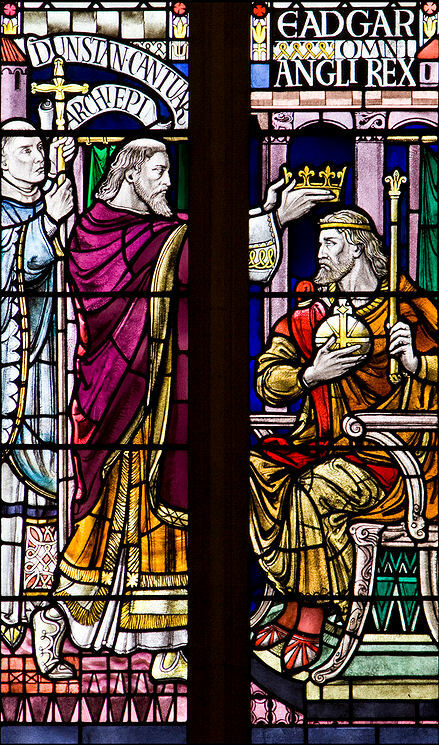 In March, 978, King Eadward was assassinated at Corfe Castle, possibly at the instigation of his step-mother, and Aetheled the Redeless became king. His coronation on Low Sunday, 978, was the last action of the state in which St. Dunstsn took part. When the young king took the usual oath to govern well, the primate addressed him in solemn warning, rebuking the bloody act whereby he became king and prophesying the misfortunes that were shortly to fall on the realm. But Dunstan’s influence at court was ended. He retired to Canterbury, where he spent the remainder of his life. Thrice only did he emerge from this retreat: once in 980 when he joined Aelfhere of Mercia in the solemn translation of the relics of King Eadward from their mean grave at Wareham to a splendid tomb at Shaftesbury Abbey; again in 984 when, in obedience to a vision of St. Andrew, he persuaded Aethelred to appoint St. Aelfheah to Winchester in succession to St. Aethelwold; once more in 986, when he induced the king, by a donation of 100 pounds of silver, to desist from his persecution of the See of Rochester. St. Dunstan’s life at Canterbury is characteristic; long hours, both day and night, were spent in private prayer, besides his regular attendance at Mass and the Office. Often he would visit the shrines of St. Augustine and St. Ethelbert, and we are told of a vision of angels who sang to him heavenly canticles. He worked ever for the spiritual and temporal improvement of his people, building and restoring churches, establishing schools, judging suits, defending the widow and the orphan, promoting peace, enforcing respect for purity. He practiced, also, his handicrafts, making bells and organs and correcting the books in the cathedral library. He encouraged and protected scholars of all lands who came to England, and was unwearied as a teacher of the boys in the cathedral school. There is a sentence in the earliest biography, written by his friend, that shows us the old man sitting among the lads, whom he treated so gently, and telling them stories of his early days and of his forebears. And long after his death we are told of children who prayed to him for protection against harsher teachers, and whose prayers were answered. They buried him in his cathedral; and when that was burnt down in 1074, his relics were translated with great honor by Lanfranc to a tomb on the south side of the high altar in the new church. 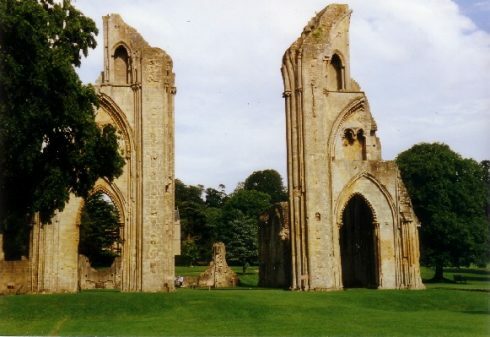 The monks of Glastonbury used to claim that during the sack of Canterbury by the Danes in 1012, the saint’s body had been carried for safety to their abbey; but this claim was disproved by Archbishop Warham, by whom the tomb at Canterbury was opened in 1508 and the holy relics found. At the Synod of Winchester in 1029, St. Dunstan’s feast was ordered to be kept solemnly throughout England on 19 May. Until his fame was overshadowed by that of St. Thomas the Martyr, he was the favorite saint of the English people. His shrine was destroyed at the Reformation. Throughout the Middle Ages he was the patron of the goldsmiths’ guild. He is most often represented holding a pair of smith’s tongs; sometimes, in reference to his visions, he is shown with a dove hovering near him, or with a troop of angels before him. The very heart of the nobility’s mission is described in this short phrase of tribute to the great Saint Dunstan. 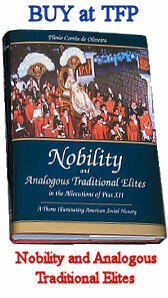 Be it in the temporal, be it in the spiritual realms, the mission of the nobility is to labor selflessly to further the common good of their nation. This is what Saint Dunstan did. He spent his life in dedicated service of both Church and State, trying to better the lives of the English people. A second aspect of this post that deserves special mention is Saint Dunstan’s prophetic role. No one, save Saint Dunstan, had the courage to confront King Eadwig about his deplorable behavior and bring him back to his duties. The saint had no fear and carried out this most difficult task. Like Saint Dunstan, how many prophets of old had to reprimand kings and remind them of the moral law, which they too must obey. The Prophet Nathan did this with King David. Other prophets had to remind kings of their duties toward their people. Saint Dunstan’s example should be emulated by the nobility and analogous traditional elites today.